Our MA Philosophy and Literature programme is designed to discover and develop your talents in both fields. You will study in a small supportive community of people who share your passions. It will suit you well whether you have just completed your undergraduate degree or if you want to return to study after starting your career. It’s ideal as a preparation for a PhD, or simply as a way to deepen your engagement with the subjects you love, whilst developing transferable skills that are valuable in any number of careers, from law to marketing to journalism. During your MA, you will take four taught modules (two in each semester), before choosing a topic for your dissertation. You’ll work with academics from the School of Politics, Philosophy, Language and Communication Studies and from the School of Literature, Drama and Creative Writing, and have the chance to engage with other students in both Schools. You will also attend a series of workshops with other graduate students in philosophy, including PhD students, and share your ideas there with others. The course is a research-training Master’s, and features a research dissertation component, which incorporates a year-long research training workshop. This MA can therefore be taken as a standalone course, or as the first year of a ‘1+3 programme’, if you are already applying for the PhD. Besides the links between philosophy and literature, philosophers at UEA also explore the boundaries where philosophy borders upon film, linguistics, political science, environmental science, mathematics, economics, and classical studies/ancient science. Our distinctive research environment offers an interdisciplinary outlook and a focus on methodological and metaphilosophical reflection. We are a leading centre for Ludwig Wittgenstein research. Other staff research interests include philosophy of language and linguistics, philosophy and social science, environmental philosophy, metaphilosophy, philosophy of literature, film and the arts, and ancient philosophy. 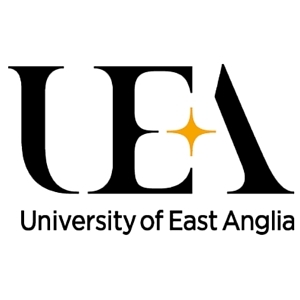 Visit the MA Philosophy and Literature page on the University of East Anglia website for more details!